From the above equation for " - time interval" ( that is, time as observed in system ), it is obvious that the units of time for clock 2 will be greater as compared to units of time for clock 1 in moving system . Why? will also be greater signifying a slower rate of time passing in frame system as seen by an observer in frame system !! The greater the distance separating clocks 1 and 2, the slower will be the rate of time passing to an outside stationary observer! 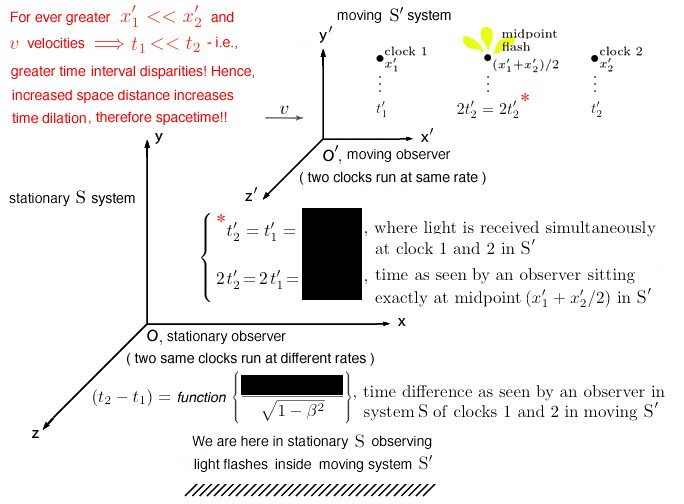 This phenomenon has already been demonstrated as for when the further distant clock 2 at runs slower than the nearer clock 1 at in relatively moving frame system to an outside observer in stationary system . 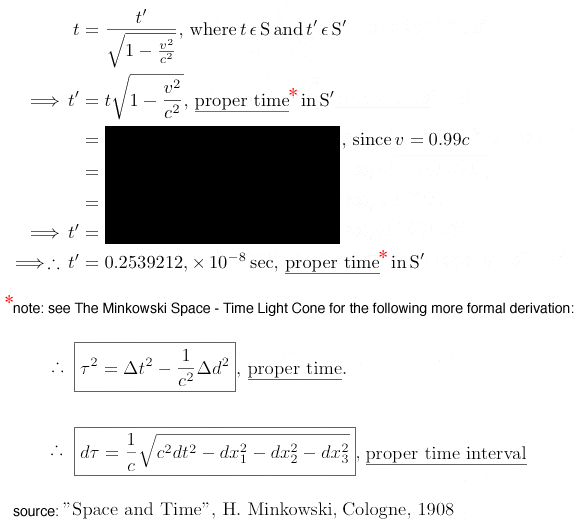 The conclusion is therefore inescapable: time is dependent on space as these Special Relativity equations demonstrate!! 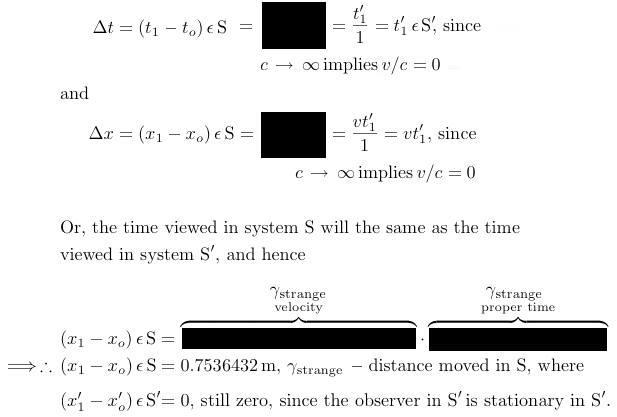 In other words, in physical reality there is "no simultaneity of clock events" when either great distances or great velocities of clocks are involved relative to a stationary observer!! 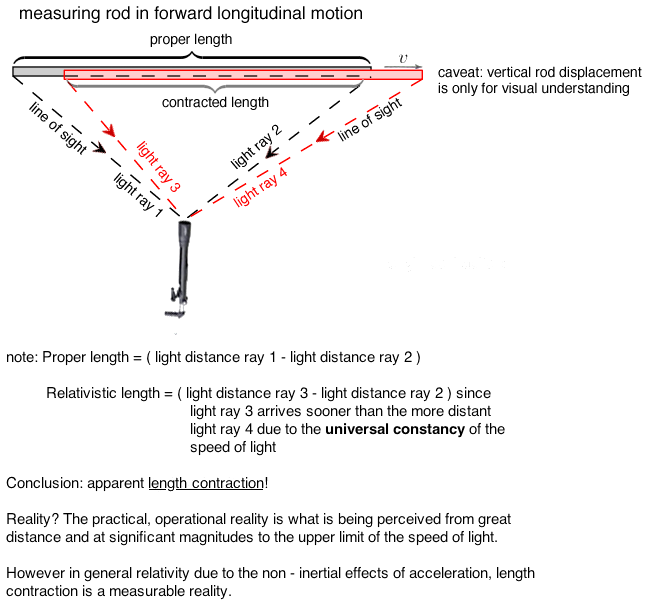 That is, for an observer in , a rigid rod in "moving away" frame system will appear to shrink by an amount given by the Lorentz Factor, and equally for a relatively "moving away" system for a stationary observer in system , this same rod will also appear to be contracted!! It's all relative! And it's called reciprocal length contraction. This contraction effect is called the Lorentz Contraction Effect. And in order, therefore, to maintain a universal constant speed of light in any light sphere in any direction by Einstein's special relativity proposition, longitudinal length contraction must be invoked! 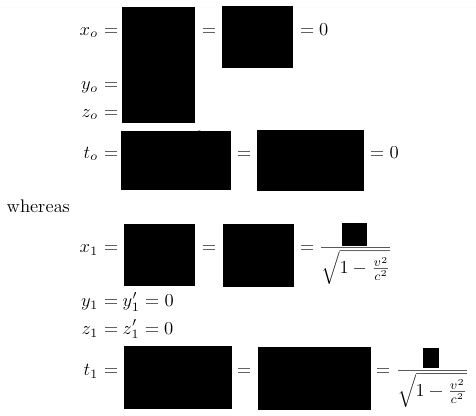 More simply, length contraction is imputed in order to maintain a universal constant speed of light when determining time dilation in both Einstein's Special and General Relativity equations! for observations of being made from . where observations of system are being made from . 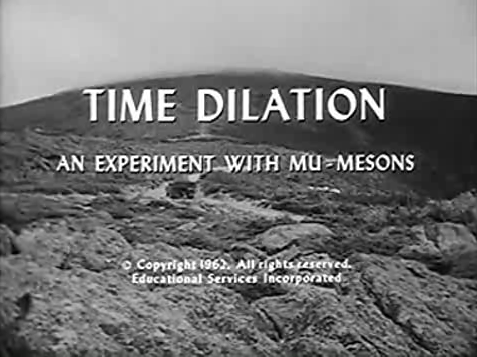 This type of time dilation for non - accelerating, inertial system motion is mutually reciprocal which precludes "The Twin Clock Paradox" construct. Rule 1: Every clock will appear to go at its fastest rate when it is at rest relative to the observer; hence, any motion relative to an observer slows the apparent rate of any clock. 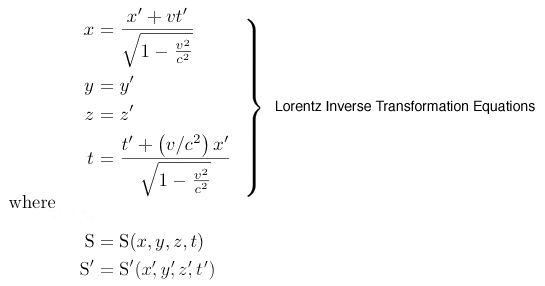 given by the Lorentz factor. An unknown particle, , appears and then disappears with a "lifetime" of 1.80 x 10- 8 sec in a particle accelerator such as CERN's LHC ( Large Hadron Collider ) and is observed during it's "lifetime" to have a concurrent velocity of 0.99 together in a beam of ( other ) known particles. The proper lifetime ( proper time ) is the lifetime of the particle measured by an observer moving coincident with the particle in the particle's own frame of reference, system. since because we are imagining as moving coincident ( actually imagining as being stationary ) with , therefore we're ( relatively ) stationary with and , hence . which means that any ( atomic ) clock "attached" to will move slower as seen ( i.e., measured ) by an observer in stationary system as compared to an observer of time "attached" to this particle; this is the meaning of time dilation or time interval expansion.